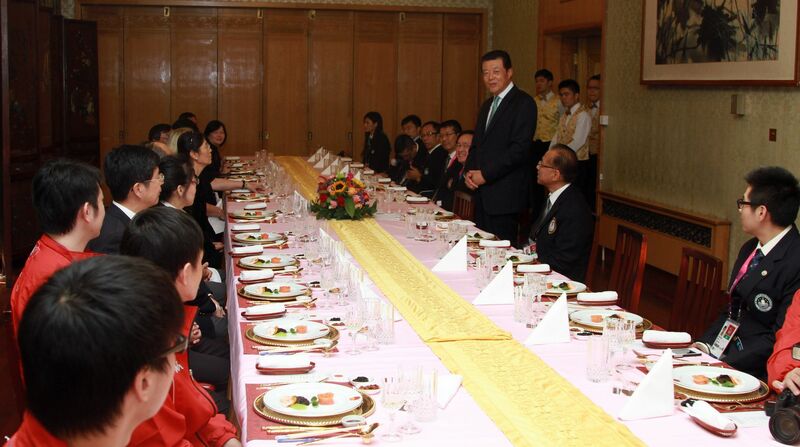 On September 3, Chinese Ambassador Liu Xiaoming met with and hosted a banquet for the sports delegations from Hong Kong and Macau China to the 14th Paralympic Games at the Chinese Embassy. Dr. York Chow, President of Hong Kong Paralympic Committee & Sports Association for the Physically Disabled, Silas Chiang, Chef de Mission for Hong Kong’s Paralympic delegation, Antonio Fernandes, President of the Macau-China Paralympic Committee and Head of the Macau’s Paralympic delegation, as well as over 20 athletes, coaches and members of the Hong Kong and Macau Paralympic delegations, attended the meeting and banquet. President York Chow and President Antonio Fernandes thanked Ambassador Liu and the Chinese Embassy for their warm reception and strong support respectively on behalf of the Hong Kong and Macau Paralympics delegations. They said that the central government has done a lot of fruitful work in protecting the welfare and improving the life of the disabled persons. 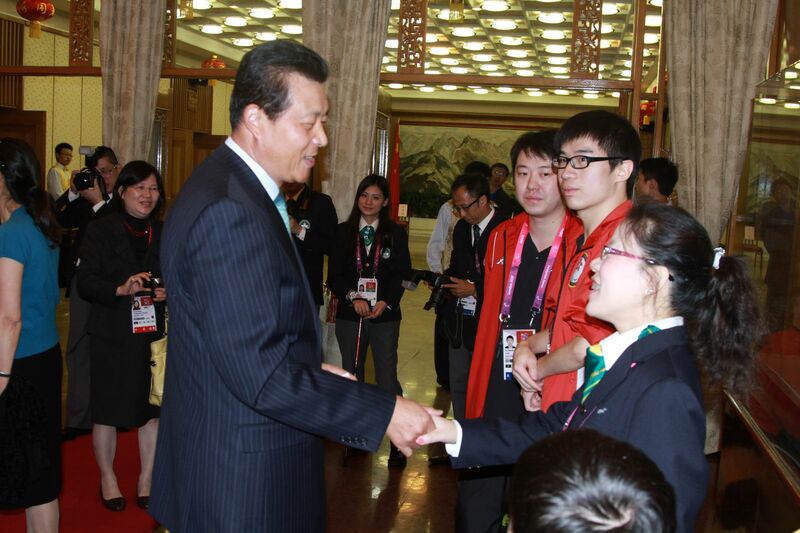 The Chinese national team started to lead the medal table shortly after the opening of the London Paralympic Games. This is a clear evidence of the tremendous achievements of the motherland in the undertakings for the disabled persons, and every Chinese is proud of it. 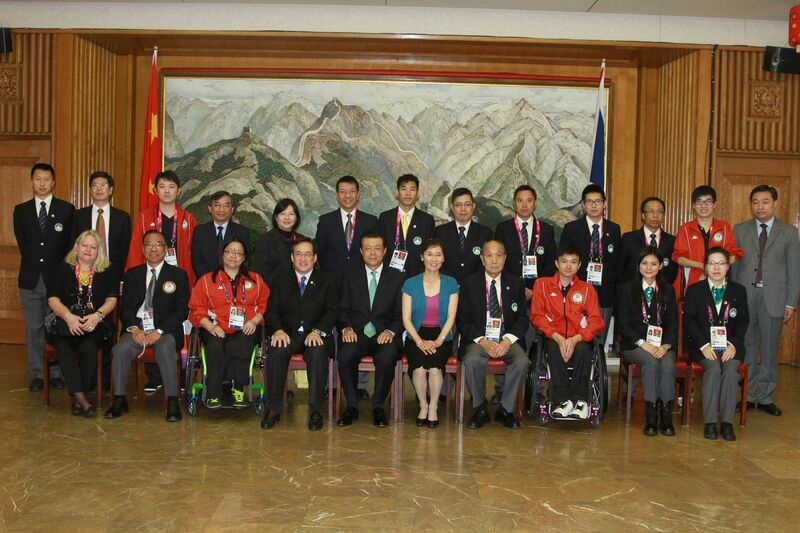 The central government and all communities in the mainland have always been supporting the development of the sports for the disabled in Hong Kong and Macau. It is hoped that Hong Kong and Macau would work with the mainland hand to promote the further development of the undertakings for disabled persons.